Below are listed the most amazing natural and man made landmarks of Timor-Leste. Mainina Ponor – Lautém. In this ponor disappears water from the largest freshwater lake of Timor-Leste – whole Irasiquero River flows in it. Water continues to flow underground and discharges in the sea. Sacred place. Endemic fish Craterocephalus laisapi has been discovered in this short stream. Mare Naun Nura Springs – Aileu. Group of hot springs with water temperature 55 – 62 °C. Water is bubbling, has slight odor. Marobo hot water spring – Bobonaro. Hot water spring in beautiful mountain setting. In the past there have been built pools for collection of the water. Temperature of water – 46 – 47 °C. Mota Bandeira Falls – Ermera. Impressive waterfall – a stream falls down a vertical cliff. Noi Noi Kuru Cave – Lautém. Approximately 320 m long limestone cave with beautiful cave formations. Cave contains gours and also a shard of pottery and stone wall – a sign of human habitation. People have used the cave as shelter in 1975. Oesilo mud volcanoes – Oecusse. Group of several active mud volcanoes. Christo Dei of Dili – Dili. 27 m tall statue of Jesus atop globe. Jaco Island – Lautém. This island is covered with primeval forest and is considered to be sacred by local people – a place where the souls of deceased people go. Access to this island is forbidden. 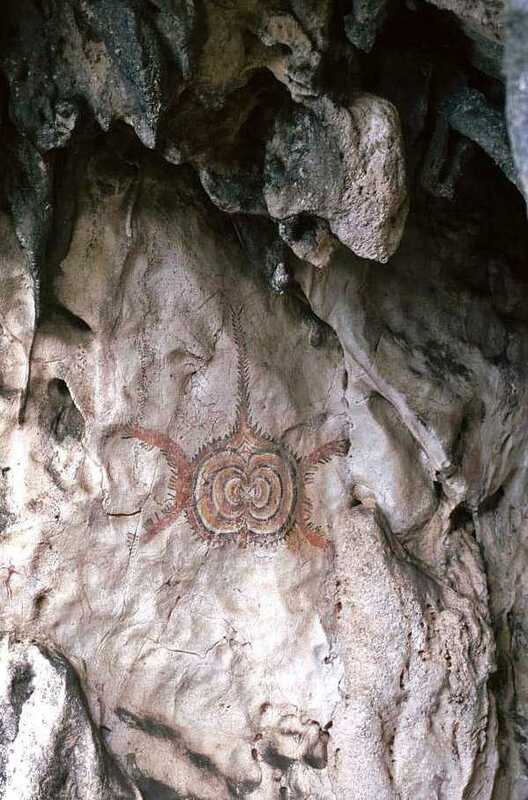 Prehistoric paintings at Ile Kére Kére near Tutuala – Lautém. Exquisite, well preserved paintings up to 30,000 years old. Contains Lene Hara Cave – limestone cave, where people have lived in several periods since 30,000 – 35,000 BP. Walls of cave are adorned with prehistoric polychrome paintings, depicting geometric shapes, boats, animals, birds and stylized humans. Here have been found petroglyphs as well. In this area are known at least six other caves with cave art (including O Hi and Ile Kére Kére). The island country of Timor-Lest has magnificent scenery, interesting geological attractions, rich biodiversity and promising archaeological finds. This country is rather little known and in the future there are expected more discoveries. Examines the history of the ethnic conflict in East Timor and its continuing effect on the people.